Coast to Coast 2015 Adventure , Southern Tier: I should be collapsing on a beach instead of starting an expedition. I should be collapsing on a beach instead of starting an expedition. 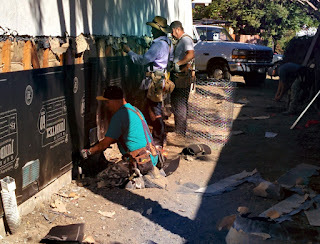 On Monday, we discovered significant termite damage along the south wall. I was able to lift and replace the damaged pieces, but it took the whole day. It had to be done, because the stucco crew was coming today, Tuesday. It's much easier to replace this before the stucco goes up so there wasn't much choice. James did a rough grading of the site yesterday so no more holes to fall into. I'm reasonably confident that the worst is over but there is work which will continue in my absence. Ground treatment for termites will come on Friday. 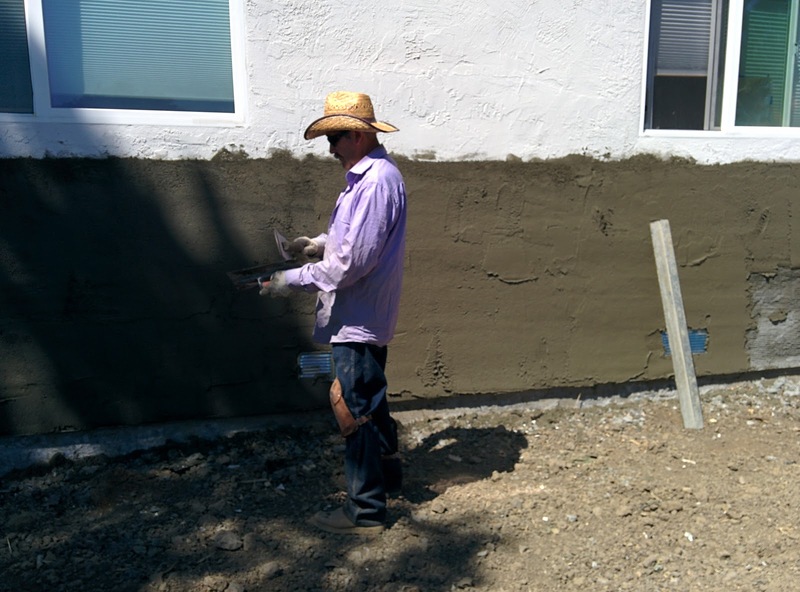 The final 'color coat' of stucco comes on Tuesday and James will frame the perimeter concrete walkway on Wednesday. After that, James will pour the walkway, repair the patio concrete he needed to remove for two of the piers and will build a gate. 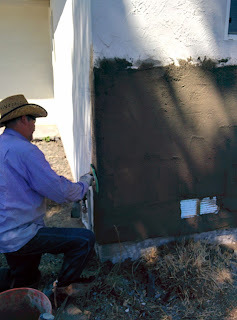 Danny will paint the stucco and in the following month, when Linda meets me in Florida, the termite folks will tent the house for three days to get rid of a different kind of termites, because, of course, we have two different types who each respond to different poisons. We'll fix and paint the interior after I return from the trip. There are cracks, but at least I've adjusted doors and windows and everything works as it should. There is a light coating of dust over pretty much everything in every room. Linda has been very patient about all this. Someone will help Linda with the cleaning, but it's not going to be easy to get it all. 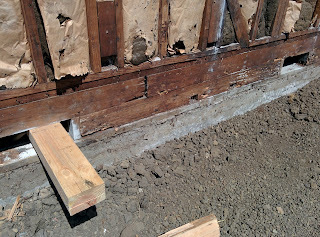 She'll be prepping for the termite tenting without me and that alone is a project. All food and meds that aren't in sealed glass or metal containers must be removed. Plants need trimming, decorative rock needs moving, all cabinets and hatches opened and the list goes on. Unless I've missed something I think I get Thursday off. I haven't been on the bike in weeks and I'm pooped. This isn't an auspicious start to a 2 month trip. It's pretty sad when you have to go on a coast to coast bike ride to get a little R&R after a major construction project. Never start a project like this with a hard stop. All the major work which I absolutely needed to participate in, is done. The rest is up to Linda, James, and for the exterior painting, Danny. For those who have a perverse interest in the numbers. As it sits today, including repair of hidden damage, termite treatment, permits, engineering, excavation, lifting, tools, concrete, supplies and necessary trades, we're into the project for about $27k. 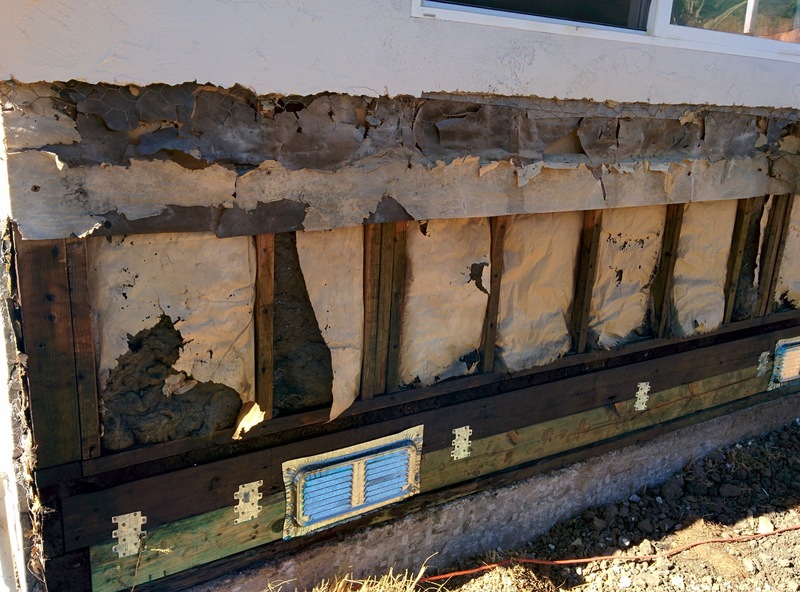 A rough estimate of an alternate solution (Ramjack) started at $40k and didn't include site work, repair of hidden damage, patio concrete restoration or termite treatment. It would have been considerably more than this base estimate. On the whole, not a bad deal. A good project but not for the faint of heart. Most or all of our neighbors have or will confront this problem of shifting ground. It's just the way it is on this hillside. This will turn into a blog about the ride. I promise. Linda and I are planning on breaking up the drive down with a night in Santa Barbara before heading to San Diego on Saturday. Linda will head back up on Sunday morning and I have a group meeting that evening. Monday is a shakedown ride and Tuesday we actually head to Alpine, California which is about 38 miles and 2700' of elevation gain. Wednesday, we head to Ocotillo, passing through the town of Jacumba where resides a great naturist resort. Alas, I don't think this group would be up for it, but a few days there would surely even out the tan. Termite damage in sill plate 4x6 spacer along south wall. Replaced 4x6 and treated with wood preservative. 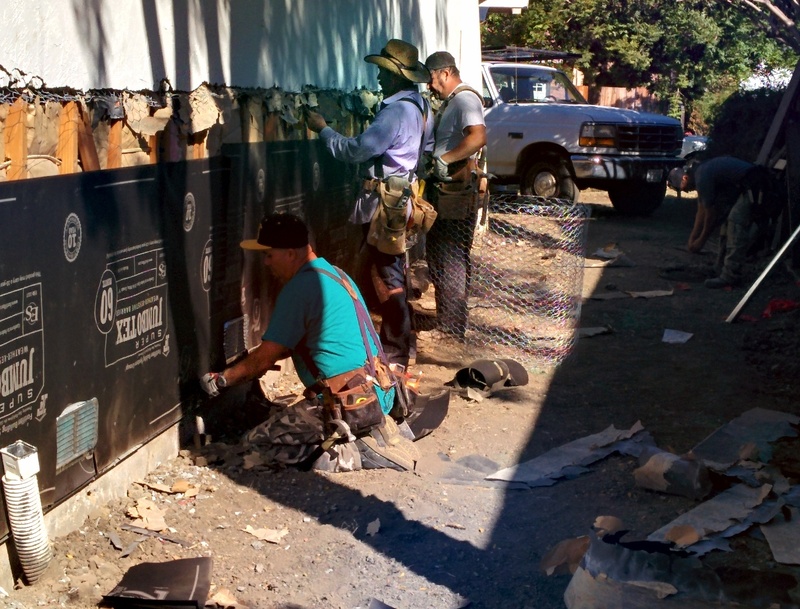 Stucco crew placing vapor barrier and stucco wire. Art makes this look simple but it isn't. Looks like a lot of hard work. I hope you have an enjoyable (and more relaxing) bike trip. You are right, it will be a relaxing contrast to be on your bike coast-to-coast. Hope the ride today was beautiful. My friend is trying a new organic product the controls bacterial diseases like powdery mildew, rust, and black spot that affect many plants like squash, cucumber and roses, just to name a few. I remember, Termite inspection Port Macquarie was a daunting task for us.